And the best part...it's free! NCPA member pharmacies receive a shipment of COMPLIMENTARY copies of the semi-annual consumer publication titled Matters of Health. 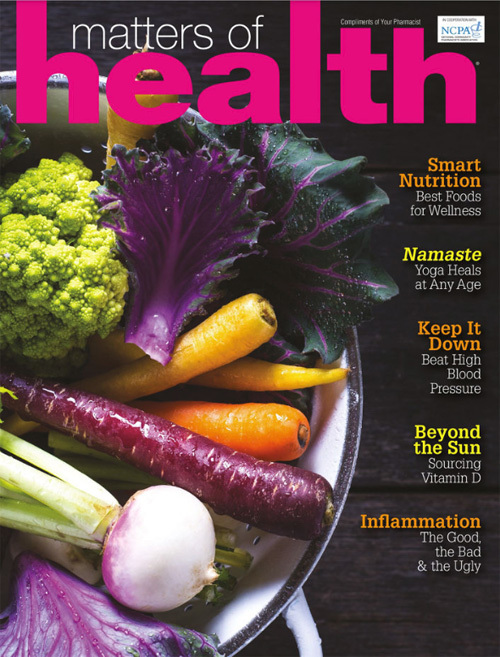 Each issue contains articles of interest to your patients such as coping with a chronic illness, the importance of medication adherence, and seasonal health related tips. By distributing this magazine to your patients, it provides you with an additional opportunity to engage with them and continue the health care conversation. We encourage you to embrace this member benefit and opportunity by exhibiting the free publication in the display provided in a prominent location in your pharmacy. We are sure your patients will appreciate your continued support of their health. With your shipment of Matters of Health comes an order form for additional copies when you need them, and of course, there is no charge because you are a member of NCPA.